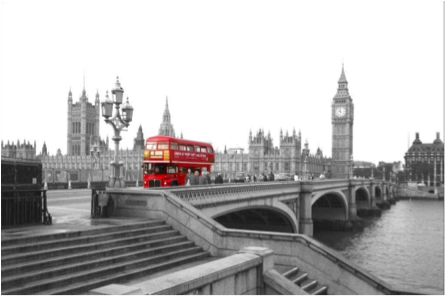 A recent case in the Patents County Court for England and Wales concerned the nature and scope of copyright protection for a computer manipulated monochrome photograph of a bright red bus going over Westminster Bridge. The photograph may be of a specific subject matter but the case has much wider implications for the worlds of photography and graphic design. The court considered two main questions (1) is Photo 1 a copyright protectable work and (2) if so, has a substantial part of Photo 1 been copied to make Photo 2. Has Photo 2 (on the right) copied a "substantial part" of photo 1 (on the left)? Is photo 1 a copyright work? Although a photograph is one form of artistic work which is protected under the Copyrights Designs and Patents Act (CDPA), not every photograph is an artistic work. Following the European cases of Infopaq and Painer, for copyright to subsist in a photograph it must be the “author’s own intellectual creation”. Painer went into considerable detail as to what did and did not constitute the “author’s own intellectual creation” but it effectively means that not every snapshot that you take on e.g. your smart phone has copyright protection. By way of example, the judgment refers to an Austrian decision (O (Peter) v F KG) which related to photos of grape varieties. This found that “what is decisive is that … the [photographer’s] personality is reflected by the arrangements (motif, visual angle, illumination etc).” It is hard to avoid an aesthetic judgment being made under this approach (even though the CDPA explicitly says that '“artistic work” means ... [a] photograph ... irrespective of artistic quality' (s. 4(1)(a)). The judgment noted that composition is affected by the angle of the shot, the field of view, and computer manipulations which are made in post processing. It ultimately held that Photo 1 is an artistic work as either a photograph or a collage (on the basis that the sky was digitally removed and replaced with white and therefore the image could be an electronic collage). Does photo 2 infringe the copyright in photo 1? Answering question 2 isn’t as straightforward as it may sound. It is not a case of what are the differences between photo 1 and photo 2. As the judge notes, it is possible to “reproduce a substantial part without necessarily producing something that looks similar”. It is a matter of “quality not quantity” i.e. 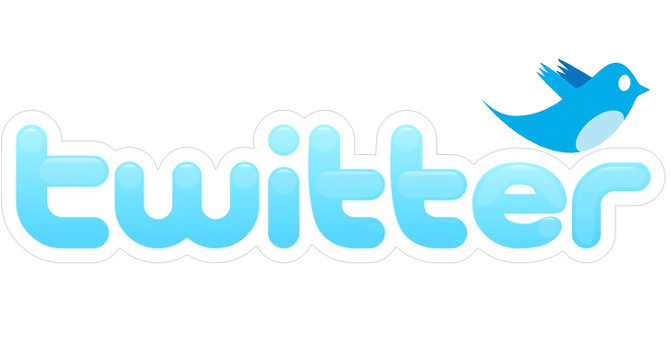 have the features which give photo 1 its artistic quality been copied by photo 2. The judge analysed this quality based on composition and visual contrast. Although the “images undoubtedly differ in their composition”, the type of bus, direction of travel, presence of people, lack of traffic and amount of sky were identified as both copied and qualitatively important. In terms of visual contrast, the red bus against the monochrome background was clearly copied but the blank white sky was also identified as significant. Together the composition and visual contrast features were found to be a “substantial part” of photo 1 and to have been copied by photo 2. Although the analysis is quite detailed it is very hard to see how a photo taken at a different angle, with a different foreground, exposure level and perspective could infringe. Arguably all that is really copied is that idea of a black and white photo of the Houses of Parliament with a red bus in the foreground. 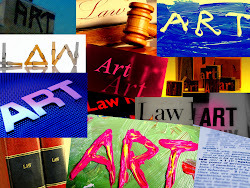 The judge noted that “the whole point of this case is that [the defendant wants] lawfully to produce an image which does bear some resemblance to the claimant’s work". This is the heart of the problem. Based on the judgment, there appears to be an attempt by the tea company (defendants) to sell more tea through an association with a popular photograph of a London landscape (photo 1). However, whether that association is legitimate is not a question for copyright law which should only be concerned with considering whether a substantial part of the original photograph has been taken. It is my personal view that a substantial part has not been taken. Whilst it is clear that not every photo of Westminster Bridge would infringe photo 1. The line as to what inspiration photographers (and other artists) can and cannot take from previous works has become (more) blurred. The court was, post-trial, asked to consider whether the portrait version of photo 2 (photo 3 above) could infringe photo 1. Photo 3 has been substantially cropped so that the bus is even more prominent together with Big Ben. Again, somewhat surprisingly, the court found that “The cropping has been carried out to discard only the most insignificant parts of the original” and therefore “the cropped portrait version does reproduce a substantial part of the claimant’s work”. What do you think? This case has aroused a fair amount of controversy in legal circles. We would love to know where would you draw the line. I think the defendant was a bit unlucky. The key authority is Kenrick & Co. v Lawrence: was there was a copying of a substantial part, given that what the defendant took from the claimant's photo was commonplace and obvious? Kenrick v Lawrence did not turn on the issue of copying of a substantial part but whether there were more than one way to depict a subject, in that case, a hand with pencil ticking a box. 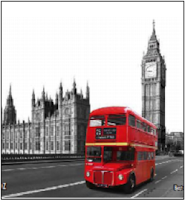 In this case, not only is the subject commonplace and obvios, to misquote from Kenrick: 'there are scarely more than one colour a Routemaster can be' and the number of views taking in road on Westminster Bridge and Big Ben are quite limited - as every postcard photographer knows. More, the technique of bringing out the bus by turning the background to greyscale is elementary. And I've seen many blank skies behind the Houses: no need to remove the sky. Nonetheless, I don't think the defendant was unlucky. If he wanted to sell tea with a red bus motif, and having (I read somewhere) already lost a previous infringement case, he should have simply licensed the image for his tea bags. That said, I think (and hope) history will find this judgment flawed and consign it to the shredder. Does Painer apply? Painer was considering the "own intellectual creation" standard for European Law, but common law protection is, arguably, lower (I'd say - almost indisputably). Surely recital 16/article 6 of 2006/116/EC preserved the common law level of protection for "uncreative" photographs? The 1988 was not, and could not, be amended to raise that level of protection by a regulations made under the 1972 Act, so the law must, presumably, be the common law. Unless some new, countervailing, principle exists that has never been properly articulated. What about the Creation records case? I seem to recall a judge saying that a photograph can only be infringed if there is direct copying of the original ie derivation! The implication is that the original photographer has somehow added some extra creative element by picking out the red element and rendering the rest in black and white. Whilst I don’t disagree that it might be possible to use photoshop as a tool in much the same way as a piece of chalk, exercising one’s creative muscles by using it to edit photos so that they are imbued with distinctive effects that are themselves worth protecting over and above the mere subject matter itself. I do disagree that this is a good example of it. Is McBanksy at large in Edinburgh? Change coming to US copyright law?